Doubletree by Hilton Košice, is a modern newly reconstructed hotel with a unique location in the heart of the historic old town, just a few steps from the largest dominant city of Kosice, St. Martin’s Cathedral. Elizabeth. 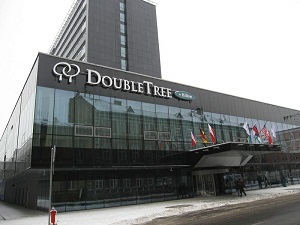 “DoubleTree by Hilton Hotel Košice is located in the center of Kosice, while combining the advantages of the pedestrian area with good access to public transport means. Hotel offers room types: standard rooms deluxe rooms and suites. 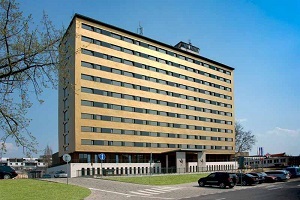 Golden Royal Boutique hotel & Spa is hotel in the centre of Košice. This luxury hotel is situated in a locality only 200 meters from Hlavna street, which is the main street of city center. Hotel provides accomodation in 24 high standard rooms and suites. In Boutique hotel there is also famous restaurant with winter garden, congress hall and variable convention rooms. Hotel Yasmin Kosice is a hotel which will charm you with harmonious interiors, modern amenities and exceptional quality Yasmin meets refined taste with high functionality and modern interior with elegant use of space. Equally well-equipped as well as conference facilities for 300 guests and a gourmet restaurant with a sunny summer terrace. 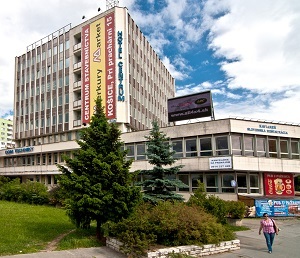 Hotel Centrum and House of techniques form a complex of buildings owned by the Association of Slovak Scientific and Technological Societies. 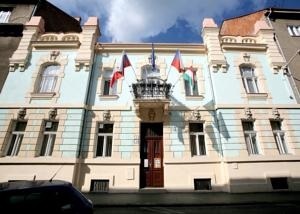 They are located in the heart of the metropolis of eastern Slovakia, Košice. Accommodations and great variability of space law is among the largest accommodation facilities of the city. 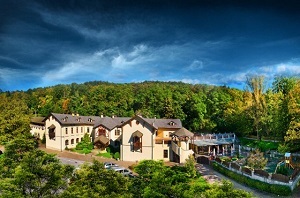 Hotel Bankov is an elegant hotel with a captivating atmosphere, style and refinement in the lap of nature, just 4 km from the center of Košice. Great asset is the individual approach to each of our clients. Hotel Bank impresses visitors with its 145-year tradition, which makes oldest existing hotel in Slovakia. The hotel has 29 rooms of different categories 17 rooms Comfort, 8 rooms Superior, 4 rooms DeLuxe.